Rent affordable charter buses, school buses, mini buses, shuttle buses, party buses, and limousines in Baltimore, Maryland. Rent a bus in Baltimore now for your event or trip. Baltimore offers seemingly endless possibilities of things to see! 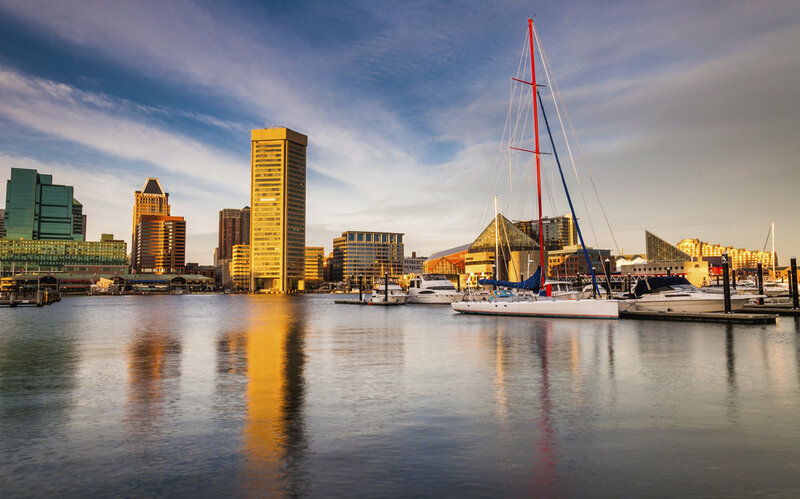 We cover all of Baltimore with buses that transport your group in the safest and easiest way possible. With our buses, you will be able to cross off all those attractions. We recommend visiting the National Aquarium, Fort McHenry, USS Constellation, Baltimore Museum of Art, or Maryland Science Center. Rent a bus in Baltimore now by entering your details into the form below!